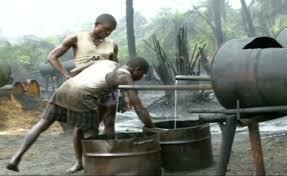 Navy destroys 1500 illegal refineries in Delta – Royal Times of Nigeria. The Nigerian Navy Ship (NNS) DELTA has destroyed about 1500 illegal refineries with swamp buggy in the Delta creeks in the last two months. The Commander of the ship, Commodore Ibrahim Dewu, disclosed this to newsmen in Warri on Wednesday. 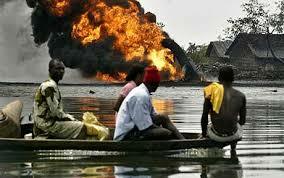 Dewu said the destruction exercise was carried out in the creeks of Otumara, Ogbegugu, Okpuku in the Warri creeks. “It takes us time to remove the logs for our men and the swamp buggy to have access but we are determined,” he said. He said the criminals’ activities were also contributing to the degradation of the ecosystem. “The antics of the criminal elements will not deter us from eradicating the illegality with the aide of swamp buggy which I believe will bring a lasting solution to economic sabotage. ” We decided to apply swamp buggy because it is more environment friendly and difficult for the perpetrators to resuscitate the illicit business since their facilities are also crushed completely in the process. “Apart from that, we also do post-monitoring of the various sites we have destroyed to ensure that the criminals do not return to reactivate them. ” So far, the exercise has been successful and we will not rest on our oars until the illegalities are completely eradicated in our maritime domain,” he said. The News Agency of Nigeria (NAN) reports that in one of the operations on Bennett Island on June 12, the perpetrators set fire around the vicinity of the illegal refinery to prevent the soldiers from entering. The navy personnel then created alternative means for themselves, journalists and the swamp buggy to gain access and therefore, crushed the criminals’ equipment amid thick smoke and rain.